The Government of Umm Al Quwain and UAE real estate developer Sobha Group are to build an AED25 billion ($6.8 billion) resort development on an island off Umm Al Quwain, the parties announced this week. The scheme, named ‘Firdous Sobha’, comprises a luxury seafront villa community, hotels and resorts, apartments, boutique shops, an 18-hole golf course, water sports centre and wellness spa. It is to occupy a total area of 53 million sq ft – the whole of Al Seniyah island and the Khor Al Beidah area of Umm Al Quwain, cited as one of the largest undisturbed mangrove wetlands in the UAE. The developers said the scheme would focus on taking advantage of the coastal environment by building waterfront homes, ecological zones, canals and lagoons and a marina with world-class berthing facilities. It is intended to kickstart the emergence of Umm Al Quwain as a commercial and tourist attraction, the developers added. 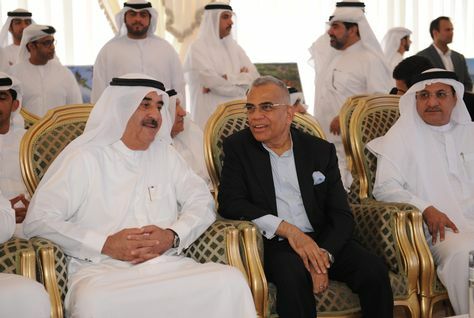 Unveiling the scheme in Umm Al Quwain on Wednesday, Sheikh Rashid bin Saud bin Rashid Al Mualla, Crown Prince of Umm Al Quwain and executive chairman of Firdous Sobha, said: “Our strategic partnership with Sobha Group brings an exciting new dimension to our commitment to developing Umm Al Quwain.